Figures like these are hard for most of us to imagine or connect to, but it’s easy to see how far-reaching – and how pressing – the issue of food insecurity is. So pressing, in fact, that Zero Hunger is one of the United Nations Sustainable Development Goals. Eradicating global hunger by 2030 will be a massive undertaking, but one to which Mosaic is proud to contribute. At The Mosaic Company, food security is on our minds every day, as it’s rooted within our mission to help the world grow the food it needs. The products Mosaic produces directly improve food security by helping farmers in 40 countries around the globe increase crop yields. When it comes to growing enough food for a rising global population, healthy soils are paramount—and often overlooked. Crop nutrition is responsible for up to 60 percent of food that’s grown. Every time a crop is grown and harvested, nutrients are taken from the soil—and those nutrients must be replaced in order to continue producing food, feed, fuel and fiber crops. Potash and phosphate fertilizers make a vital contribution to healthy, productive soils by providing the nutrients all plants need for growth, both from a volume standpoint and a healthful crop standpoint. But if all that food the world grows does not get to everyone who needs it, there’s a missing connection. Mosaic ties this approach together through community investments with food security as a pillar focus, concentrated in the areas of local hunger relief; agricultural research and education; and global agricultural development. As a global leader in crop nutrition, we feel it is our responsibility to bring our financial resources, expertise and an innovative spirit to the table, helping the world get the food it needs through strategic partnerships with innovative organizations. 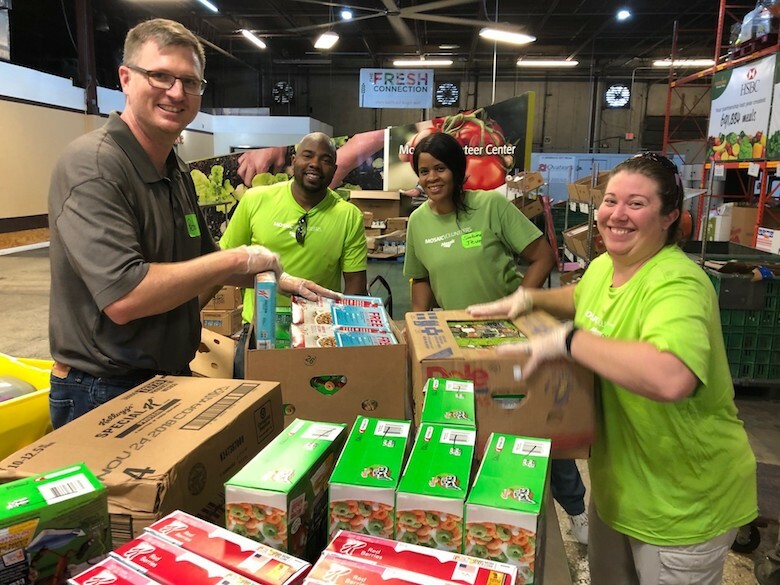 When we choose the organizations we support, we are considering the issue of hunger from the perspective that food has multiple touchpoints from production to delivery, and it’s only when all are supported that we can reach as many food insecure families as possible. Food shelves, school backpack programs and hot meal sites serve food directly to people needing better access to food. It’s the small organizations and local chapters of nonprofits that know their unique communities best. Mosaic provides funding to organizations like these whose work is critical to addressing hunger in the communities where we have operations. Our work addressing food insecurity through community investments is not limited to the local level. In a partnership led by Mosaic, the Sehgal Foundation and The Mosaic Company Foundation have helped empower small holder farmers (those with less than 25 acres) in India not only produce higher yields, but increase household income as a result. You can read more about this partnership, called Krishi Jyoti, in this article of the series. The reality is, food insecurity is complex – more than this essay’s 600-or-so words could ever do justice. Systemic hunger is a social, physical and economic issue that affects over 800 million people in the most personal way. We are proud of our mission and the work we are doing to address hunger globally, and in our operating communities, working alongside many other organizations who are similarly convicted. Solving this problem, or at least beginning to, will require significantly more effort and resources from public and private sectors.